Ben Eilenberg may have come from a teaching family (his father was a lecturer, his mother a speech pathologist, and his sisters are secondary teachers), but he wasn’t prepared for what he experienced at one of his first teaching jobs. Some teachers may have been discouraged, but Eilenberg was ready to step up. After making lots of phone calls and sending countless letters, he eventually found someone to donate old computers to the school. He also acquired some Lego RX robotics kits to engage several male students who didn’t want to be at school. Robotics has since become Eilenberg’s favorite classroom activity, in part because the students are in control. All of this hard work has culminated in a student-run robotics competition, completely conceived and implemented by Eilenberg’s students. For nine months, students met with stakeholders, invited other schools, sought sponsors, created rules, guidelines and budgets – and more. 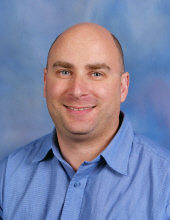 Learn more about Ben on his blog, and on his Microsoft Educator Community profile. What is the best advice you have ever received? If it doesn’t work the first time, don’t give up, just try it a different way. Favorite childhood memory: Going surfing at the beach and searching rock pools. This entry was posted in 21st century skills, Change Management and Culture of Innovation and tagged Robotics, STEM education. Bookmark the permalink.